After reading this passage in Romans, I’m starting to question the whole idea of church membership. 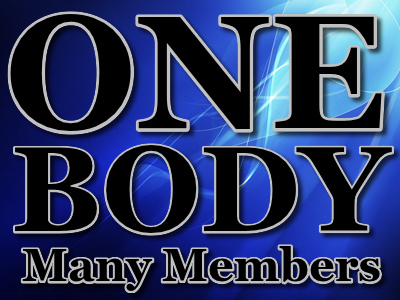 How can I join a church, that is, a local assembly of believers, when I already belong to the Church, the one Body of Christ? Like you, I live in a town with many churches. Large and small, independent and mainline, the body of Christ is widely represented. However, my understanding of Romans 12:5 tells me there is only one Church in my city; we just happen to meet in different locations. So the question is: “How can I join a particular assembly of believers and become a member of their church when I already belong to all the others?” My gifts and my life are not my own. I belong to the body of Christ, not just to the assembly that gathers under the banner of my particular denomination. Even though I am an ordained minister of a large denomination, I don’t limit myself or my fellowship solely to this organization. Furthermore, I don’t exist to promote my denomination; rather, my denomination exists to give me what I need to do the work in the “white and ready to harvest” field of the world. In other words, my denomination exists to help me promote Jesus. I don’t exist to promote my denomination.